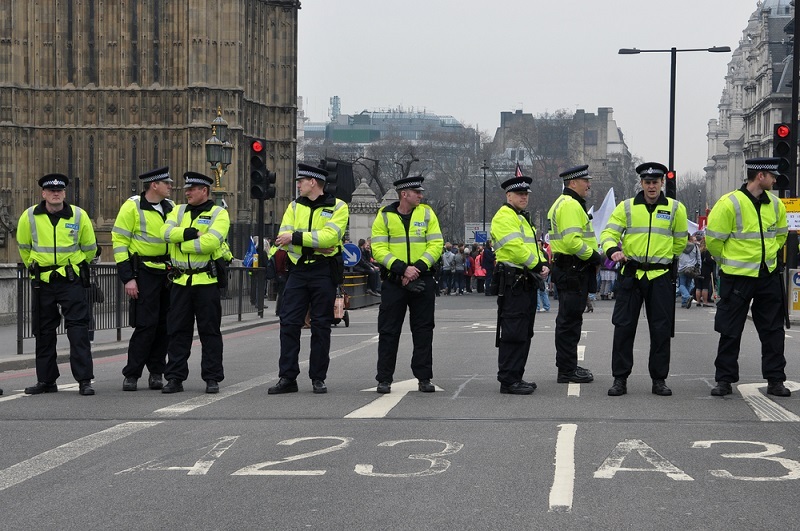 The UK government are to announce a new wave of anti-terrorism provisions this week, in concurrence with a police campaign to inform people about terrorism prevention. One of the more controversial policies the Home-Secretary announced is that UK-based insurance companies are to be prohibited from covering ransom payments. This is to deter families of victims of kidnappings from making such payments, as they will no longer be able to claim them back from an insurer. Government Ministers have said that paying ransoms encourages kidnapping and at present Isis are funding their activities through taking hostages and levying ransom. It will now be illegal for an insurance company to repay any ransom payments made. However, this puts families in a difficult position as they would give anything to have their loved one safe, but government policy makes it clear that to make such a payment is funding the activities of the group who kidnapped their family member. Earlier this year, the UK terror threat level was raised from 'substantial' to 'severe' – this was in response to conflict in Iraq and Syria. The banning of insurers covering ransom payments is one of several measures to be implemented in response to the increased terror threat. Today at Unlock the Law we take a look at some of the main pieces of legislation protecting us from terrorist acts and threats and also the new provisions proposed by the government. The Terrorism Act 2000 redefined terrorism. After the introduction of this act the terrorism would be applied to domestic terrorism and included acts which threatened or used violence against people or property if motivated by politics religion or ideology. Furthermore, under this act inciting terrorism became a crime and terrorist groups were outlawed regardless of whether any terrorist activities are actually carried out. The police were also given extensive stop and search powers under this act, and could hold individuals for up to seven days without charge. This is the act that created 'control orders'. 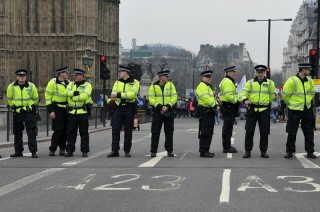 Control orders impose an extensive set of conditions on an individual suspected of terrorism regarding their movements. The act also meant that those suspected of terrorism could have their assets and bank accounts frozen. It was rules that detaining foreign nationals indefinitely without trial was a breach of their human rights under the European Convention on Human Rights. Thus this act implemented the control orders mentioned in the above paragraph, meaning that although suspects could not be detained their movements could be restricted under a control order. This act was introduced in response to the UK bombings on July 7th. Terrorist suspects could be detained for 14 days without charge (increased from 14 days). The act also introduced a ban on 'glorification' of terrorism. The most recent anti-terror legislation means that terrorist suspects can be questioned after they have been charged. It also amends the definition of terrorism to include acts that are motivated by a racial cause. Furthermore, the act allows the police to take DNA samples from those subject to a control order. Whilst it is currently already a crime to fund terrorism, under the proposed measures it will be an explicit offence for insurers to reimburse ransom payments. The difficulty with terror legislation is that it turns on balancing the security of the country with the rights of individuals. Why am I being briefed on terrorism? You may have been given guidance on anti-terrorism measures or this may happen in the near future. This is because; you can help fight terrorism too. This week, 3000 police officers are involved in informing the general public how they can help prevent terrorism. People in schools, universities, shopping centres, airports, train stations, cinemas, farms and in various other facilities are being briefed by counter terrorism officers on how to spot and report terror threats. Furthermore, police officers are working with theatre groups on a campaign called "prevent' to give practical advice to those vulnerable to being drawn in to terrorist groups. The main difficulty with terror legislation is balancing the need for national security with that of the rights of the individual. It is important that we feel secure in our society as a whole however, it is equally important that the government is not able to detain people arbitrarily or restrict the freedom of a suspect who is potentially innocent. UK terror legislation is often met with hostility by the European Courts. They feel the UK government policies are too restrictive and breach Human Rights legislation. It will be interesting to see how the new policy measures fare, both through parliament and under the scrutiny of the European Court of Human Rights. For more information on criminal law or human rights law, read our free online legal guides, follow us on Twitter or subscribe to our YouTube channel.